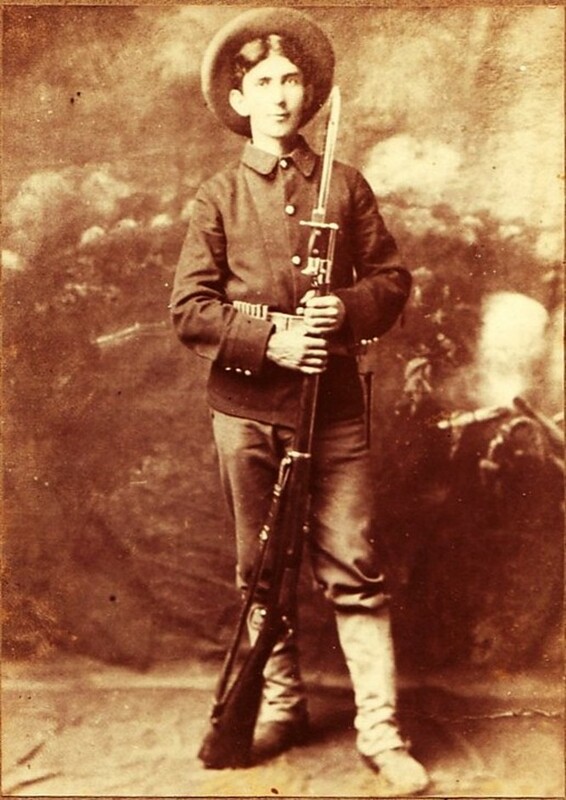 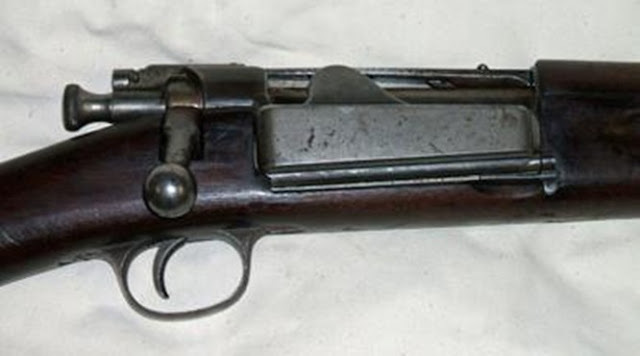 The Krag-Jorgensen Rifle was designed by the Norwegian Ole Herman Johannes Krag and Erik Jorgensen in 1886, the Army of the United States purchased some of the M1898 Krag-Jorgensen Rifles for use in the 1898 Spanish-American War. It was adopted as a standard arm by Denmark, the United States and Norway. 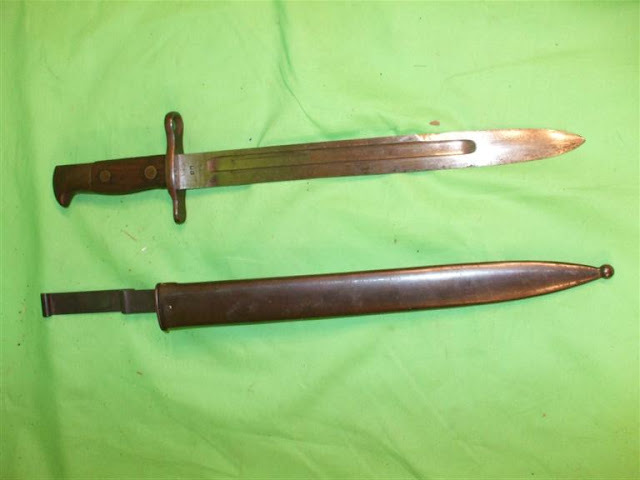 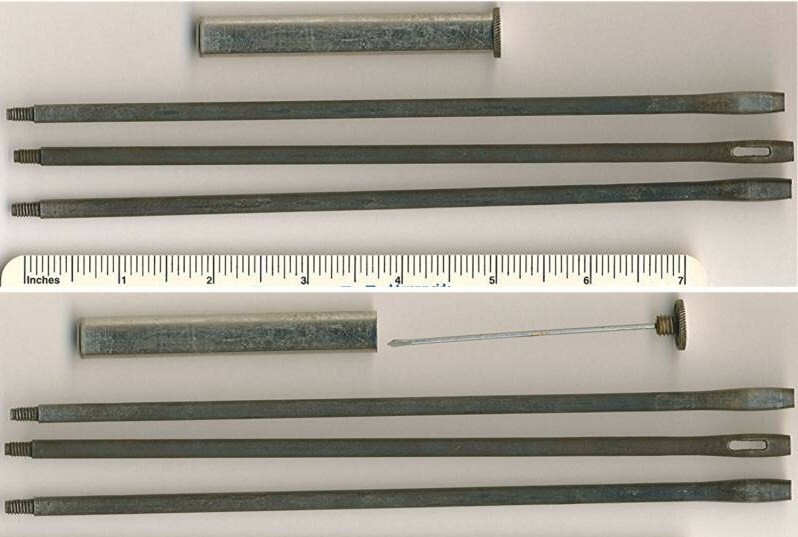 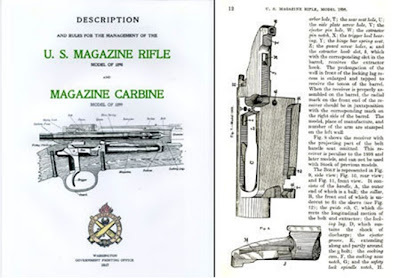 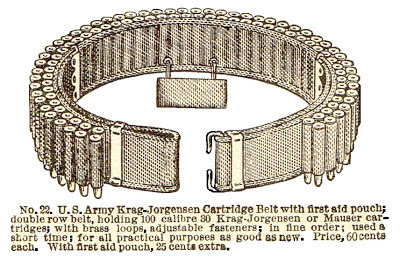 Over 700,000 of the rifles were manufactured.A distinctive feature of the Krag-Jørgensen action was its magazine, the cartridges were inserted through the side opening, and were pushed up, around, and into the action by a spring follower. 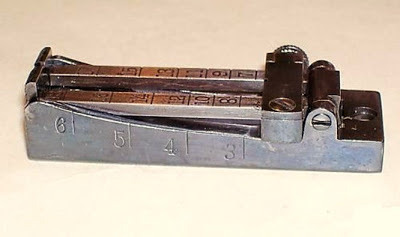 Unlike most top-loading magazines the Krag-Jørgensen's magazine could be topped up without opening the rifle's bolt.